My mouth is so happy right now! I made this amazing tapenade (pronounced tah-pen-AHD) and it is so delicious I just had to share. I was asked to make some artisan bread for my sister-in-love’s surprise birthday party. I figured that it would be good to make a spread to go with it and I remembered that tapenade was delightful. It’s not in my regular rotation of foods that I make but I need to change that! I looked up a few recipes online and then came up with my own with the ingredients that I had on hand. Most recipes called for a combo of olives, anchovies, olive oil, lemon juice, garlic, capers and some herbs such as oregano, thyme and rosemary. I usually have capers but I ran out a few weeks ago and I haven’t purchased more yet. Boo-hiss! They would have been great in this spread. I just love the salty, savory and tangy flavor or tapenade! I’d love to hear from you. 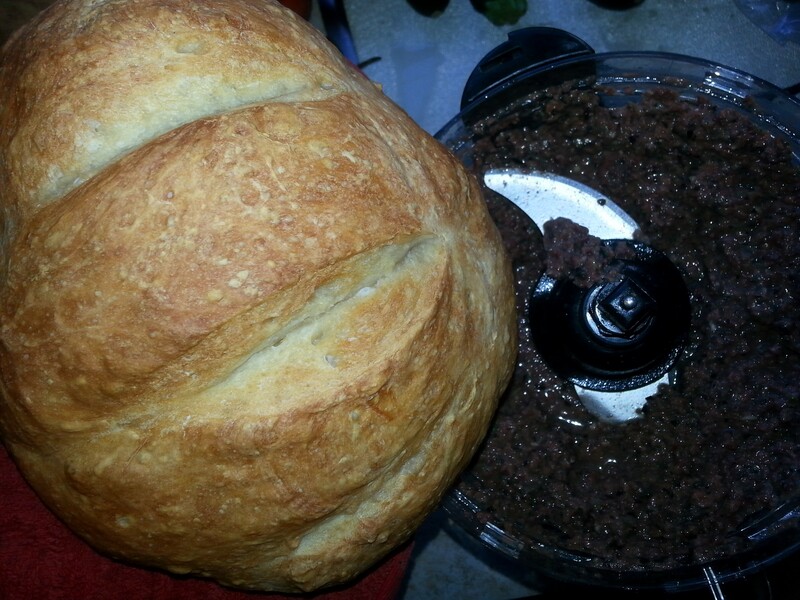 Do you have a favorite tapenade recipe that you’d like to share?